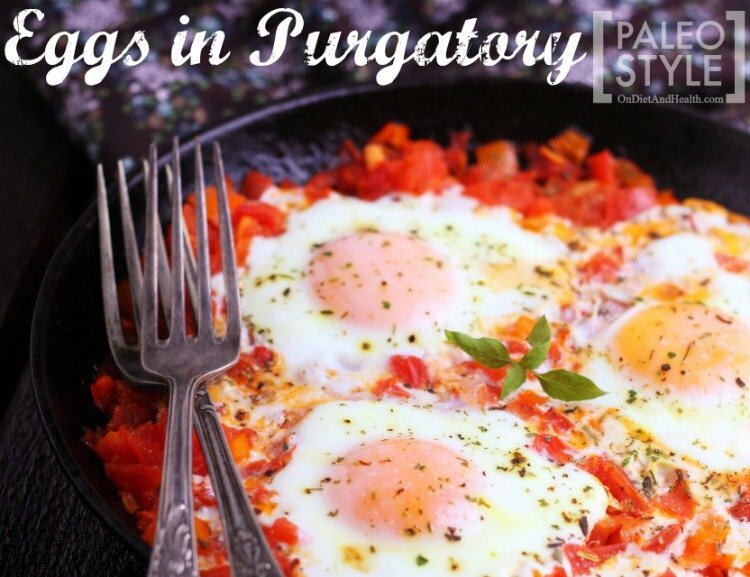 Eggs In Purgatory – Paleo Style! What a great name for this entree. There’s lots of ways to make this yummy egg and tomato sauce dish, but most of them include bread or pasta. I make it in ramekins so I can eat it as is – no gluten free pasta required! This version also includes Italian Sausage, so it’s meatier than the vegetarian classics. If you’re not familiar with it, the name refers to the spicy hot red sauce, and you can make this dish as hot as you like. This recipe is a mild version as I like the flavor more than I like the heat. 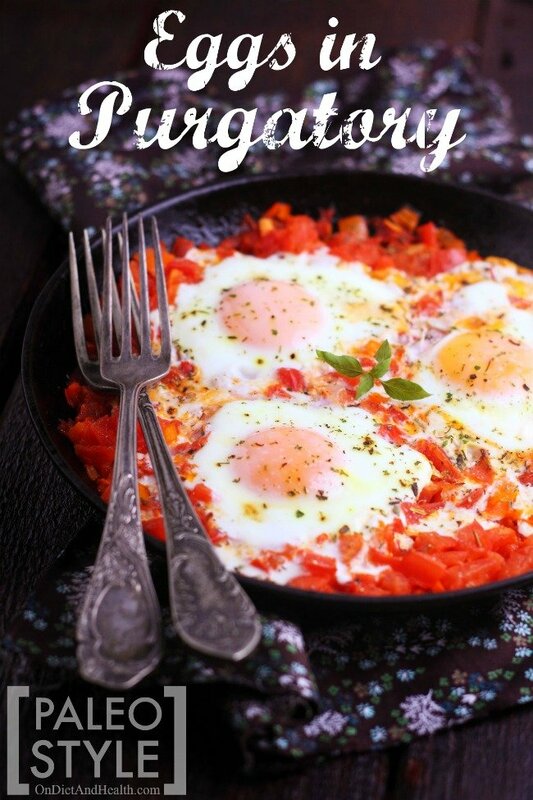 Eggs in Purgatory – - Paleo Style! • Preheat the oven to 400F. Saute the onion and butter in a large skillet until the onions are translucent. 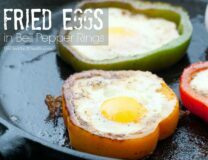 • Add the diced mushrooms, salt and pepper, and cook 5 minutes more, or until most of the mushroom liquid has evaporated. • Add the sausage and break it up with a spatula. Cook until no longer pink, then add the marinara sauce and pepper flakes and simmer 5 minutes. • If you can tolerate cheese, add the mozzarella now and let it melt into the sauce. 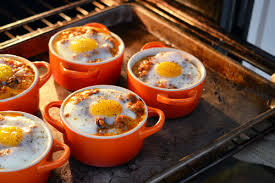 • Divide the meat sauce into 4 ramekins (or oven-proof cereal bowls) and make a small hole in the middle of each mixture. 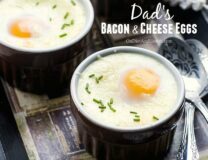 Crack in an egg and bake 10 - 15 minutes until the eggs are done the way you like them. 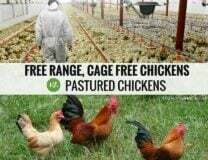 I like mine soft, so 10 is good for me!